I love this time of year, mostly because I love transforming my home completely into a festive wonderland. I put all of my regular home decor away, very carefully, and I spend Black Friday putting up the tree and decorating the entire house. It's been a tradition of mine since I had my first apartment when I was 21 so of course I've kept it going. 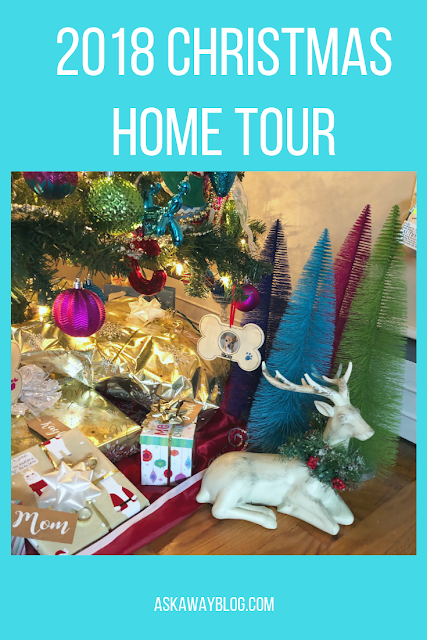 Today, I'm super excited to show you my home tour of my Christmas wonderland! I embraced my love of all things bright starting with the garland on the TV stand. In the dining room/kitchen area I hung the dogs stockings! 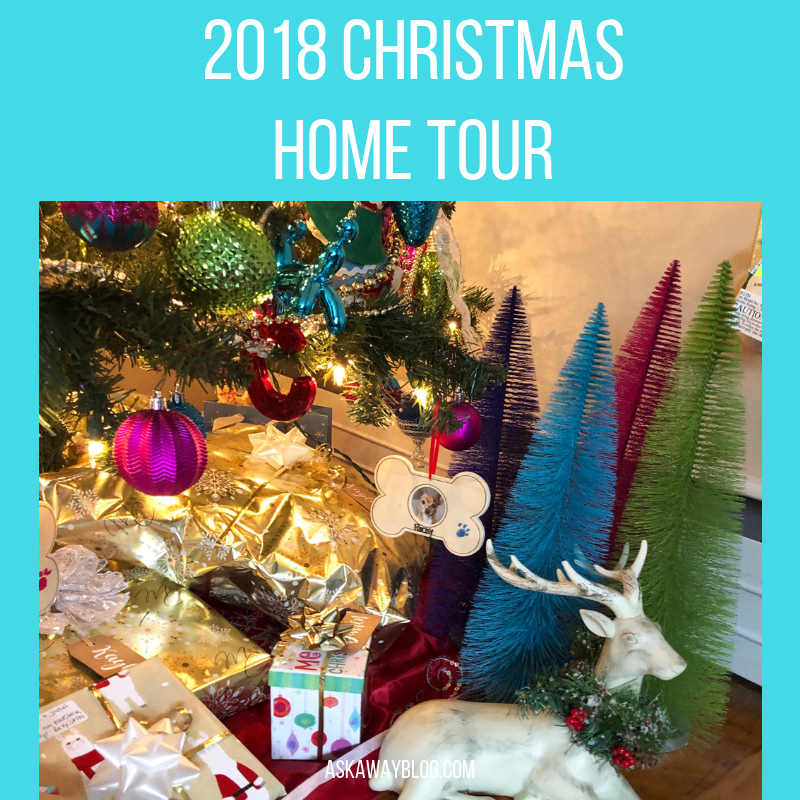 I stuffed tons of bright sprigs of glittery décor in the top part of my tree with pieces I got from Michaels and Hobby Lobby. I hope you enjoyed this peek at my home! When did you start decorating for Christmas? Do you remove all of your regular décor or do you mix your Christmas décor into it? Love how your Christmas decore is so bright and cheerful. Ahhhh, I love all those bright, happy colors. It such a refreshing change from boring, safe white. Thank you!! That's how i feel!